La Rambla or Las Ramblas street, the heart of Barcelona city. The city's heart beats in this main avenue. People at least pass by Las Ramblas streets once in a day. 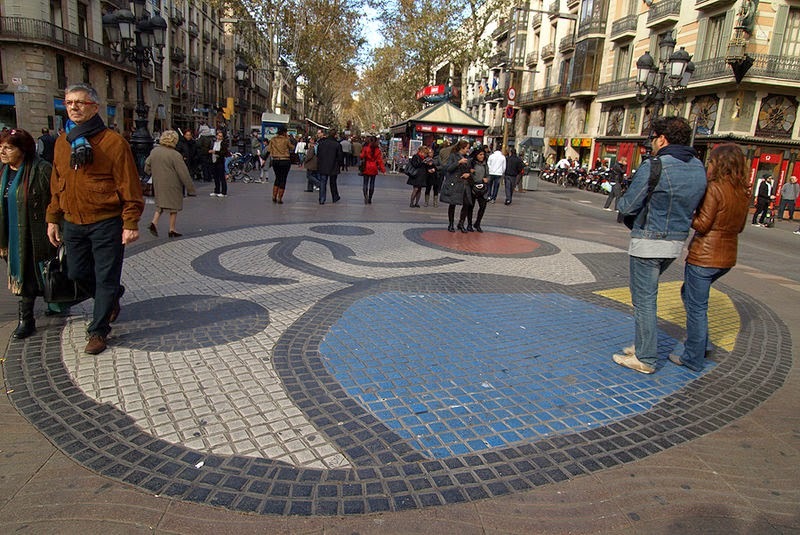 The street is popular and known by all the tourists travelling in Barcelona city. It's noticed that it connects Plaça de Catalunya with Christopher Colombus Monument at Port Vell. Being crowded day and night has affected the cafes and restaurants nearby the street positively. So popular the street is, so high the prices are. Of course not all the restaurants are too much expensive. There are lots of places to eat and drink at reasonable prices. 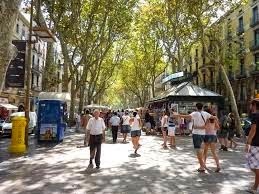 At both sides of Las Ramblas street, you can come across many florists, street artists, small shops where you can buy souvenirs and try delicious ice cream or pancakes. There is a famous saying about this beautiful city by Spanish Poet, Federico Garcia Lorca; ''the only street in the world which I wish never end''. 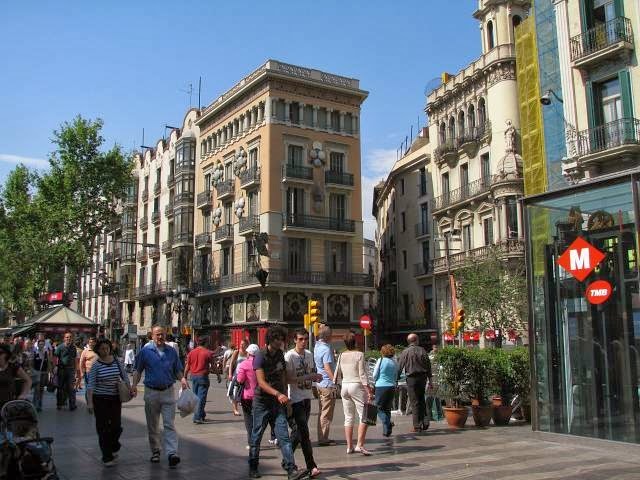 To the north of Las Ramblas it lies Plaça de Catalunya where there are many shops and cafes. To the east of Las Ramblas you will see Barri Gotic, the centre of the old city of Barcelona. Also, to the west you will come across a very different area called El Raval which was famous for its night clubs, crime and prostitutes and can be still seen a place that should be careful. When we look through the history of Las Ramblas we can see that the construction started on an extension of the city walls in order to include La Rambla and El Raval in 1377. 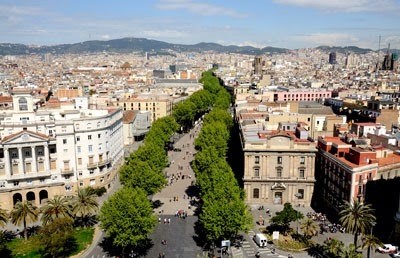 After 63 years, the stream was diverted to run outside the new walls and La Rambla started to turn into a street. The trees lying on both sides were firstly planted in 1703. While you are planning Barcelona travel be sure that you see the splendid streets with fascinating scenery. So choose your Barcelona travel guide well. For more photos please check Gallery.